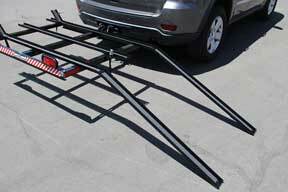 The Easy Load Ramp System-XL and XLW. 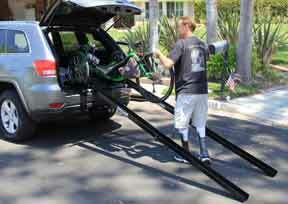 These telescoping ramps have succeeding stops at six, seven and eight feet. 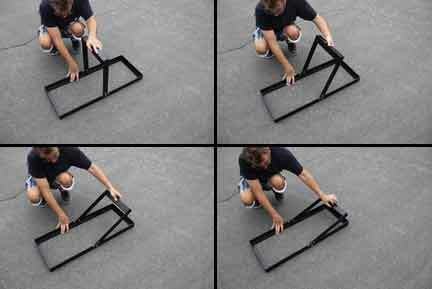 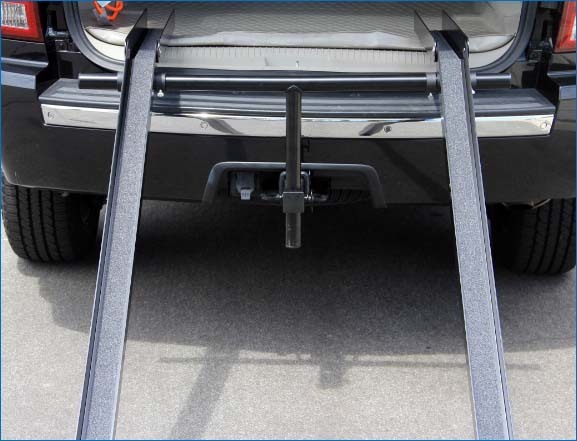 The Easy Load Ramp System Support Stand for those people who want the Easy Load Ramp System and do not have a receiver hitch or have a pick-up with a tailgate and don't want to have a custom RHI made.